We would like to draw your attention to recent development of increasing the height of Narmada Dam by 17 Meters in Gujrat by the Govt within two days the Chief Minister and elected MPs of Gujarat met our Prime Miniser Shri. Narendra Modi and cost involved Rs. 90,000 crores as per report. As elected members of NCT Delhi, we would also request you to urgently take up the MUNAK CANAL issue with PM for its resolution. The Delhi Government has spent over 1500 crore and are still unable to get basic drinking water due to non-decision of the GoI. Our humble appeal to each one of you is to take up this cause for entire Delhi, the water scenario will improve with your prompt action. 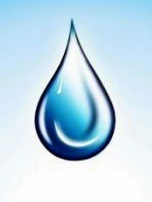 Dwarka Forum-on behalf of 356 Apartments and over 10,000 families of Dwarka Sub-City urge you to take up this important issue of drinking water with our Prime Minister on a very urgent basis. f. Dwarka water supply over 4000 crore spend by DDA/MuD for pipe network/ug /og/ booster pumps etc. All getting rusted and wasted. g. DDA and DJB charged Rs. 8-10 Lakh per apartment (356) for Water & Sewer Connection and now DJB treats Dwarka as not part of Delhi or India. Lined 102 Kms Canal, (82 KMs in Haryana & 20 Kms in Delhi) from Munak in Haryanna to Haiderpur inDelhi with capacity to carry 722 Cusec of water or 467 MGD. Lining of canal could save 80 MGD. The Munak canal was constructed by Haryana with financial assistance of around Rs 520 crore from Delhi government on the condition that the national capital will be supplied 80 MGD saved water due to lining. The canal was proposed in 1990& supposed to be ready in 2009. Extra saved water not received by Delhi. Water Pump House for Pumping Raw Water from Iradat Nagar to WTP at Dwarka. Not tested. ““The DDA was responsible for providing land to DJB for laying a 23 km corridor for the twins pipelines between Iradat Nagar and Dwarka WTP. The land has already been acquired. However, the land a portion of 2 Kms on which these pipelines were to be installed is under illegal occupation at village Nangli Sakrawati. So in this 2 Kms length pipeline could not be constructed”. 50 MGD Water Treatment Plant on land of 50 Acres at Sector 16B, Dwarka costing around Rs 800 Crores is erected but not commissioned. For Dwarka, Najafgarh, Daulatpur, Ujwa and IGI Airport. WTP is designed and constructed by DJB for DDA but not tested & commissioned. Wastage. MS piping network for treated clear Water Mains of diameter varying from 600 mm to 1600 mm from WTP Dwarka to various areas of Dwarka, (Command Tanks & UGR/BPS) Pipes are rusted & blocked and become redundant now due to negligence/delinquency. Command Tanks (CT-1 to CT-6) are connected with WTP – Dwarka have its own command area and UGR/BPS. One Command Tank caters to population of 1.5 to 2 lacs. CT-1 at Sector 7 on area of 8 acres constructed but not tested & commissioned due to non availability of raw water, Wastage. CT-2, Receive water from Nangloi, WTP. CT-4 in Dwarka receive water from CT-2. Water Tanker filling facilities at CT-2. CT-3 at Sector 3, Opposite Sec 13 on area of 8 acres constructed but not tested & commissioned due to non availability of raw water, Wastage. CT-4, Receive water from CT-2, 1MGD Water Pumped to IGA from CT-4, Water Tanker filling facilities at CT-4. CT-5 at Sector 17 on area of 5 acres constructed but not tested & commissioned due to non availability of raw water, Wastage. CT-6, Sector-26 DDA made budget provision for construction in FY 2013-14. Construction not started. Around12 UGR/ BPS constructed in Dwarka majority of them not in use. Internal service pipes distribution network. P/ L/J 900-600-500-400-350 mm dia DI/ MS.
As elected members of NCT Delhi, we would also request you to urgently take up the MUNAK CANALissue with PM for its resolution. The Delhi Government has spent over 1500 crore and are still unable to get basic drinking water due to non-decision of the GoI. *As elected members of NCT Delhi, we would also request you to urgently direct the Govt to take up the MUNAK CANAL issue with PM & Water Resource Minister, Minister for Urban Development for its resolution. The Delhi Government has spent over 1500 crore and are still unable to get basic drinking water due to non-decision of the GoI. Not just Dwarka Munak canal Helps Bawana and Okhala WTP. *We urge you to ensure DJB to take over water distribution of Dwarka with immediate effect. As the entire network of habituated sectors fully ready and agreed by DDA. Roads have already taken over by PWD and Other services by SDMC. *As far as rates are concerned Dwarka is ready to bear the competitive rate as prevailing in Delhi for NDMC, DCB area. *Ensure equal distribution of available Delhi water: Please note even the CAG in its Audit report No 2 of the year 2013 of DJB have asked for equal distribution. *Dwarka 100% planned sub-city to implement any kind of recycling or dual supply and highest concentration of water harvesting etc. This calls for DJB to have special test and trial programmes ideal for Dwarka and then to rest of Delhi as it is possible with less cost.